"One of a set of toothed wheels that work together to alter the relation between the speed of a driving mechanism (such as the engine of a vehicle or the crank of a bicycle) and the speed of the driven parts (the wheels)"
Gears in mechanical aptitude tests can be given in multiple formats. It's important to identify these formats and study them individually. When you come across gears on a belt on your aptitude test, it is important to remember that the gears always turn in the same direction. 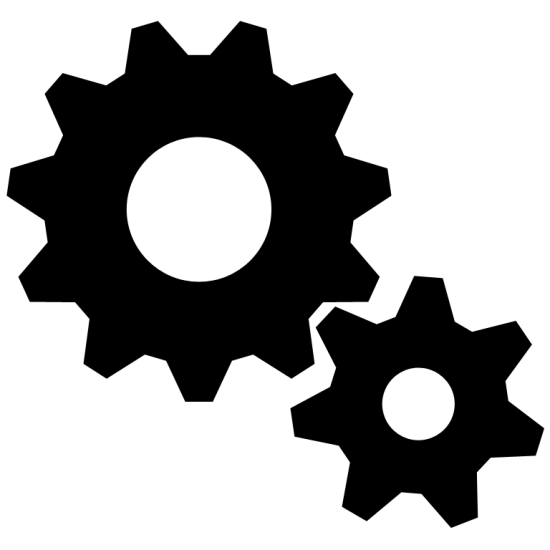 On the other hand, when you are given gears that are connected together; they are always turn in the opposite direction from each other. So in this example, if the first gear is turning clockwise, gear "A" will be turning counter clockwise. Find more gear examples here.